A solar garden is a solar electric array sized for multiple users, which provides an electric bill credit for each subscriber. Utility customers within the solar garden’s service area, including residences, businesses, local governments, non-profits, and faith-based organizations, can all subscribe to the sun. 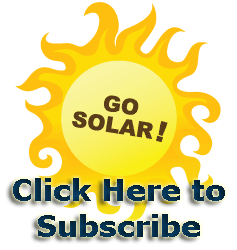 Fill out and return our subscriber interest form or drop us a note at subscribe@solargardens.org. Interested subscribers will not be required to make a financial commitment until program details are released and pricing is finalized. No subscriber will be charged until the system is built. In most utility areas, the minimum subscription size is one kilowatt (about 4-5 panels). Subscribers who qualify for LEAP have no minimum. The maximum subscription size is enough panels to provide all the average annual electricity consumption at the subscriber’s premises. We can work with you to determine the appropriate system size for your usage and your pocketbook. With our Solar Savings Now Plan: Subscribers will save up to 10% on their electric bill with a small down payment. Subscribers receive a monthly credit of about 6.8 cents per kilowatt-hour and make a monthly payment of about 5.5 cents per kilowatt-hour. Prices may be subject to change. Exact prices will be available when your utility’s program rules are complete and construction bids are received. May require credit approval. With our Community Supported Energy Plan: A kilowatt (kW) of solar power generation will cost approximately $2,000 – $2,500, due when the system is commissioned. Subscribers receive a monthly bill credit of about 6.8 cents per kilowatt-hour and pay a monthly maintenance fee of 99 cents per kilowatt (minimum $1.99). This equates to approximately $15 off your electricity bill per month for each kilowatt purchased. Prices may be subject to change. Exact prices will be available your utility’s program rules are complete and construction bids are received. If you move within the same county, you can transfer your subscription to a new meter. You can sell your subscription at any time you choose, and if you move out of the county. The subscription can be considered separate from the home-sale or can be sold separately or with the home, depending on your preference. When will the solar garden be built? If your solar garden is approved for program year 2011 or 2012, it will likely be built during the spring, summer, or fall of 2012. As your hosting service provider, Solar Panel Hosting (SPH) will arrange financing and manage subscriptions. Solar Panel Hosting will work with local partners to develop the project. SPH’s role includes financing of project construction, subscription management, and ownership and payment models. SPH is developing over a dozen projects in Colorado and California — see http://www.solarpanelhosting.com/ . Solar gardens can be anywhere from 10 kilowatts, which would fit on a large roof, to 2 Megawatts, requiring up to 15 acres. An average single-family home would offest 100% of its electricity usage with about 2-5 kilowatts of solar power. SPH charges a small monthly maintenance fee to cover both predictable and unpredicatable costs, including inverter replacement breakage and snow removal. Panels typically have a warranty of 25 years. In year 25, they are guaranteed to produce 85% of what they were making on day one. Comprehensive insurance is included in the price. In year 20, the host and subscribers will decide whether to renew the lease with the existing system in place, renew and upgrade to new technology, or decommission the system. How do we work with the local community? The Solar Gardens Institute (SGI) builds real grassroots support for projects by working with local non-profits to help locate the project and subscribers. Our projects are assisted by solar gardeners, who are part community organizers and part project managers. SGI provides training and tools to empower solar gardeners. There is a design flaw that permits rain, snow and ice to run off exactly where people walk. A gutter and proper drainage are needed on the lowest tier of the roofglass.